Shown in front, natural finish white oak with Perennials fabric and coach English bridle leather strapping. At rear, marrakech stained walnut with Perennials fabric and cognac English bridle leather strapping. 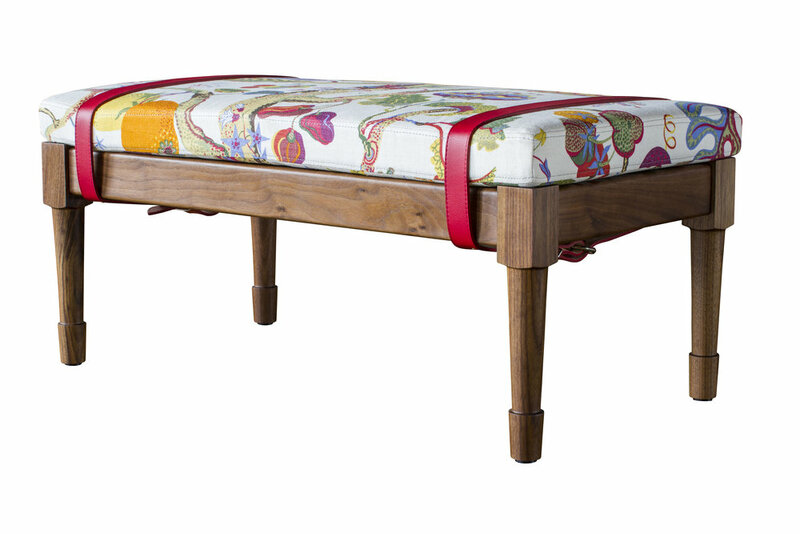 Oiled walnut with COM fabric (Josef Frank Vegetable Tree) with stitched red leather belts. 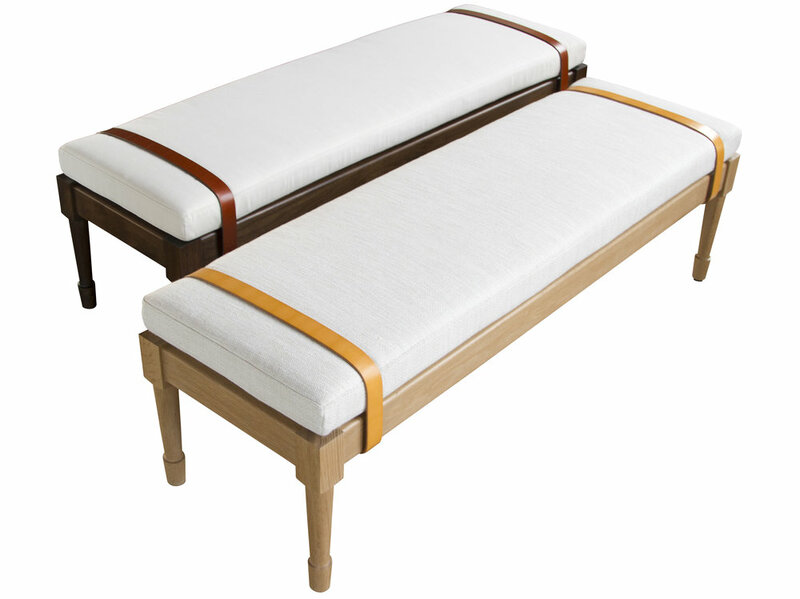 The Jasper Bench is available without belts, with two belts or with multiple belts. 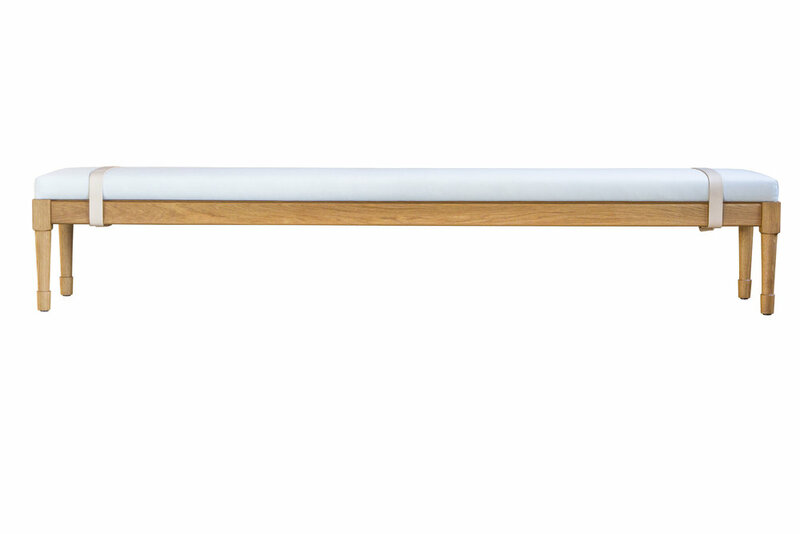 Our seating collection is comprised of 30 chairs, stools, and benches. Every bench is made to order and because we offer a wide variety of material options it’s rare that we ever produce the same bench twice. 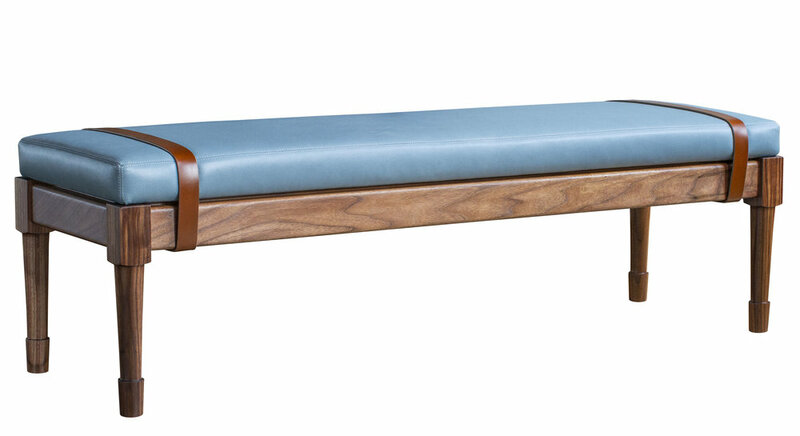 The Jasper Bench can be made to custom dimensions.